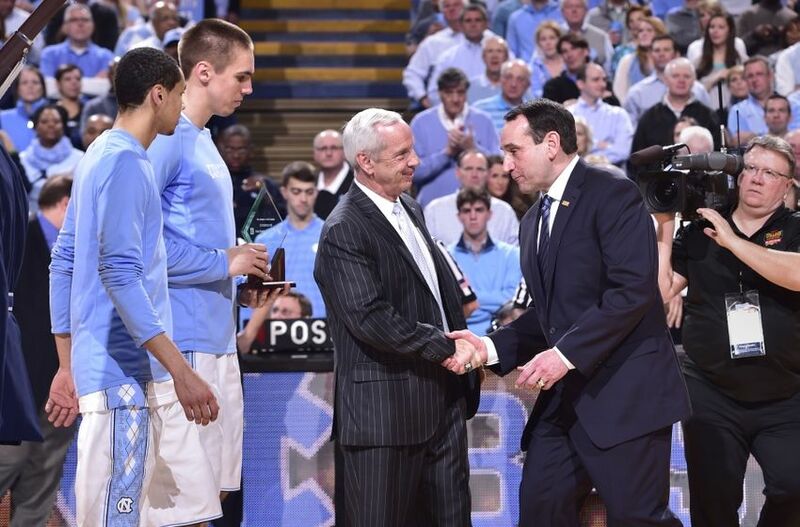 The North Carolina Tar Heels take on Duke in one of the greatest rivalries in all of sports. What do the Blue Devils bring to the table? This is the game everybody has been waiting for. Sure they played some big football game this past Sunday Night. But that’s small potatoes compared to the event coming Thursday (at least in the state of North Carolina). The best rivalry in college basketball takes center stage in Durham. Duke versus Carolina, take one. So, what do the Tar Heels need to know about the Blue Devils? Head Coach: Mike Krzyzewski. Career Record: 1057-323. Coach K is in his 37th season at Duke which is his second head coaching stop. The all-time leader in wins in men’s basketball has been to the NCAA tournament 32 times while at Duke. During that span he has been to 23 Sweet 16’s, 14 Elite 8’s, 12 Final Fours, and eight national title games. Additionally, he has five gold medals, three of which came as a head coach. When all is said and done, he will probably go down as the best college basketball coach of all-time. Last Season: Last season, Duke went 25-11 overall. Following up a national title run, the Blue Devils went 11-7 in the ACC finishing fifth in the conference. They beat NC State in the second round before falling to Notre Dame in the quarterfinals. For their efforts, Duke received a 4-seed in the NCAA tournament. They marched all the way to the Sweet 16 where they were thoroughly beaten by Oregon. Best Former Player: Grant Hill. Hill is a seven-time NBA All-Star and five-time All-NBA player. He finished his 19-season career with 17,137 points, 6,169 rebounds, and 4,252 assists. Once thought to be the next Michael Jordan, Hill’s career was cut short by injury. Despite a long career, he never could get his way to the NBA championship and never got the ring that many expected he would have plenty of. This Season: This season, Duke is 18-5 overall. After being picked by everybody to win it all, Duke has not lived up to expectations. The Blue Devils sit just a half game out of fourth-place in the ACC. However, it has not been easy and they could just as easily have started ACC play at 2-6. The biggest fear of the Blue Devils this season is to stumble into the NCAA Tournament as an 8-seed, get it together and make a Kentucky-esque run to the championship game, a la Connecticut in 2014. Luke Kennard has literally willed this Duke team to wins this season. His performance in the second half isn’t just one of the best of the season, it is one of the best at Duke. Kennard is hitting nearly 46 percent of his shots from behind the arc, making him very dangerous when catching the ball. At 6-foot-6, Kennard is the type of guard that the Tar Heels have struggled against, particularly when Theo Pinson doesn’t play. If Carolina cannot contain the sophomore from Ohio, they could be in for another disappointment at Cameron Indoor Stadium. 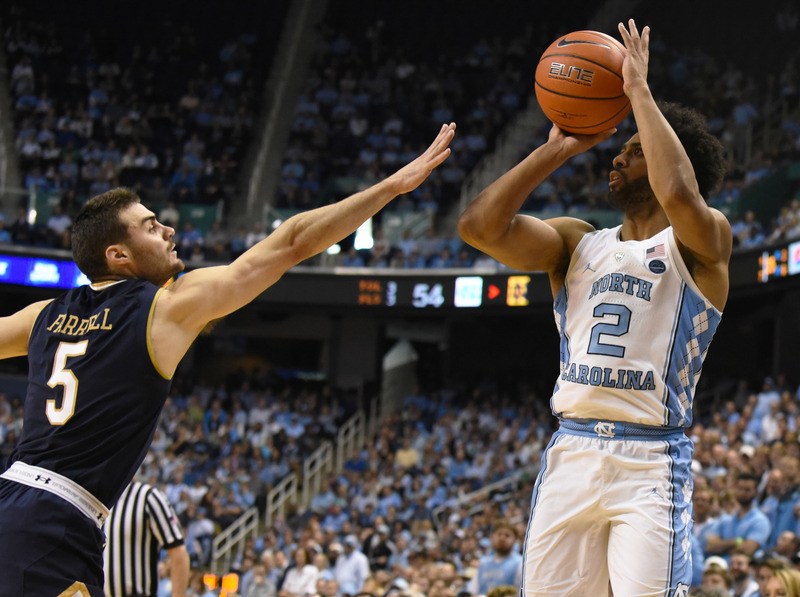 Joel Berry is always a key cog to this North Carolina team. Against Duke, he will be even bigger. One of Duke’s biggest questions this year is at the point guard position. Basically, they don’t have one. North Carolina doesn’t have that problem and this presents a great opportunity for Berry. A guard has had at least 15 or more points in seven of their 10 conference games this season. When Berry scores at least 15 points, UNC is 11-1. The one loss was against Kentucky, where he had just returned from injury. In other words, if Berry has a big game, the Blue Devils could be in trouble. Tatum has been coming up big for the Blue Devils of late. Since being a key cog in the comeback against Miami, Tatum is averaging 14 points and seven rebounds per game. He is also shooting 50 percent from the field. An assertive Tatum makes Duke dangerous, much like Brandon Ingram did last season. Combine him with the hot shooting of Kennard and it is easy to see why Duke has won four of its past five games. Bradley will be key to any Tar Heels victory against the Blue Devils. 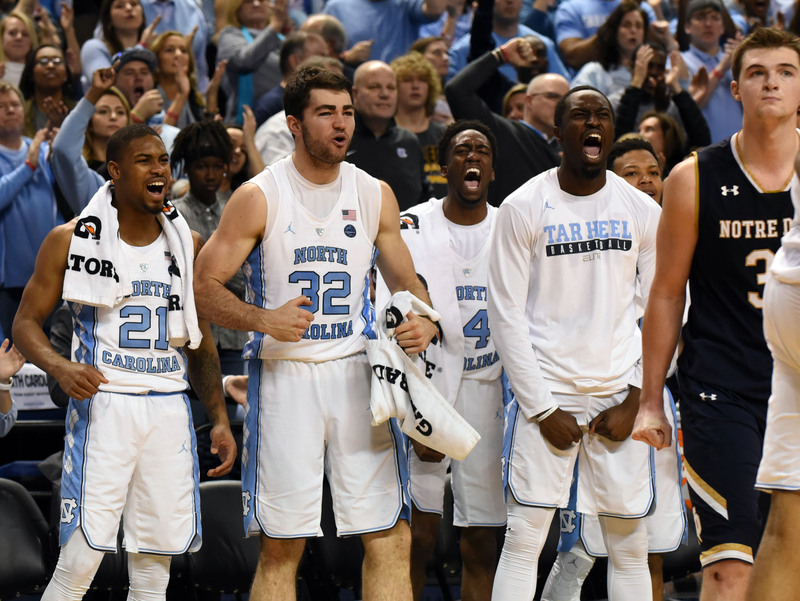 Bradley, along with Isaiah Hicks, allows the Tar Heels to play “small ball”. 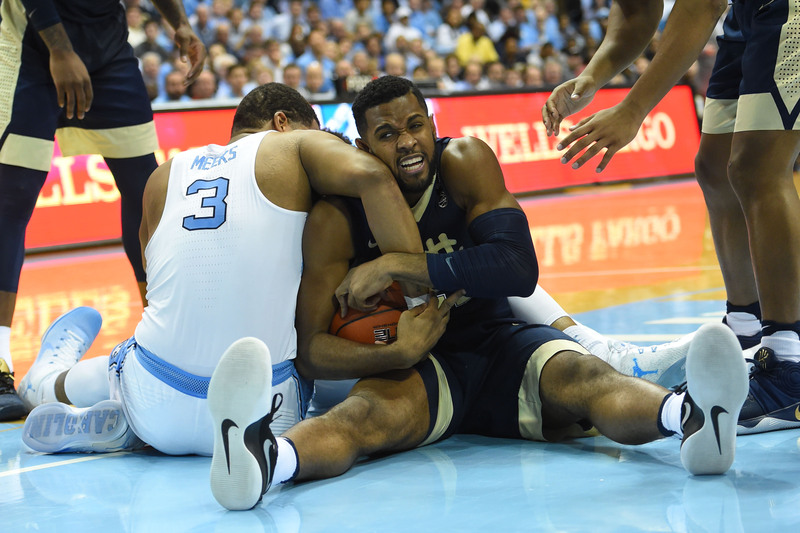 Kennedy Meeks is best when playing with another big. Unless Duke goes to their super defense lineup that they used against Miami, they will play mostly four perimeter players alongside Amile Jefferson. If they stick with that setup, Bradley will need to have a performance similar to the one he had against Notre Dame. Against the Irish, Bradley had 12 points and five rebounds in 17 minutes. That kind of production justifies keeping him on the floor and Meeks on the bench, giving Roy Williams his best line-up against the “smaller” Blue Devils. If Theo Pinson plays, how effective will he be? Theo Pinson is practicing, and that’s great news. Some fans were worried he might not return this season. 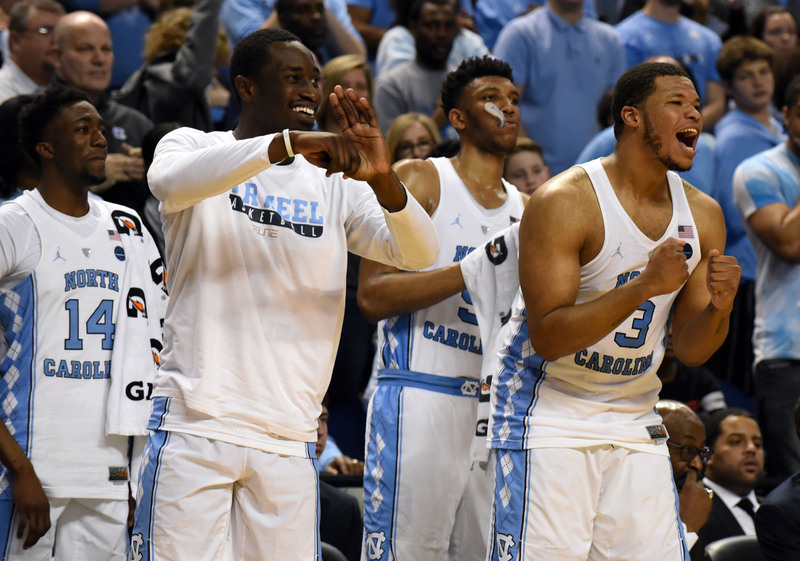 But once again, it looks like the Tar Heels will soon have their versatile wing back sooner rather than later. UNC needs Pinson to be successful against teams like Duke. Imagine the Notre Dame and Pittsburgh games as warm ups. Like the Irish and Panthers, the Blue Devils really only play one true post player. In lineups like this, Kennedy Meeks becomes a lot less effective. Against Notre Dame, the big man fouled out. 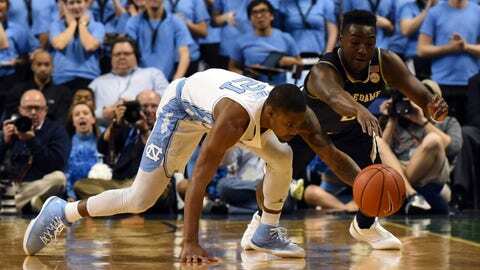 Pinson allows the Tar Heels to play a smaller line-up that can match up with what Duke is doing. The effectiveness of Pinson, if he returns, will go a long way to how long and often Roy Williams can turn to that line-up for the Tar Heels while keeping Kennedy Meeks off the floor. 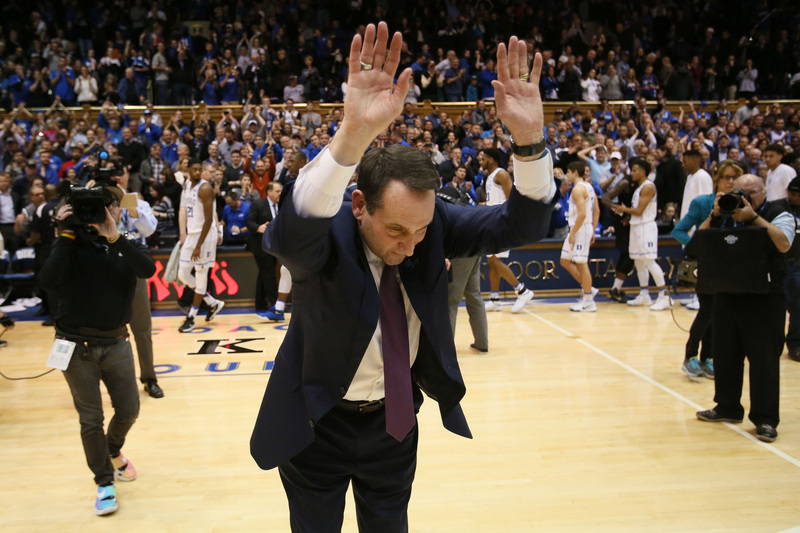 Did Coach K return one game too soon? Coach K made his return to the court Saturday after being out for a month due to back surgery. He came back to roaring fans and saw his team win big in the second half against Pitt. But did he come back one game too early? Coach K is a game strategy master. One has to wonder how his return might have impacted this game. Can you imagine how crazy the “Cameron Crazies” would be for the rivalry and his return? If the Blue Devils win, it won’t matter. If the Tar Heels win, people might wonder if he came back one game too soon. Will Grayson Allen try to trip anybody? Come on, you knew this question had to be asked. Allen hasn’t had any real altercations since the Wake Forest game. He also has never tried to trip a North Carolina player. Will this be the game he breaks that streak? If Berry continuously beats him off the dribble, will he be able to control himself? I have asked this question in my power rankings, but I will restate it here: Just how good is Duke? Honestly, I am not sure anybody really knows. They are currently on a three game win streak, but their best win in that span was against a Notre Dame team that seems to be falling apart. Final Score: 88-86 UNC over Duke. With the game at Cameron, it will be close. However, UNC is the best team Duke has faced since Florida State. Remember what happened there? The Blue Devils were crushed by 16. Luke Kennard keeps the game close, but Grayson Allen turns it over to seal the win for the Tar Heels.